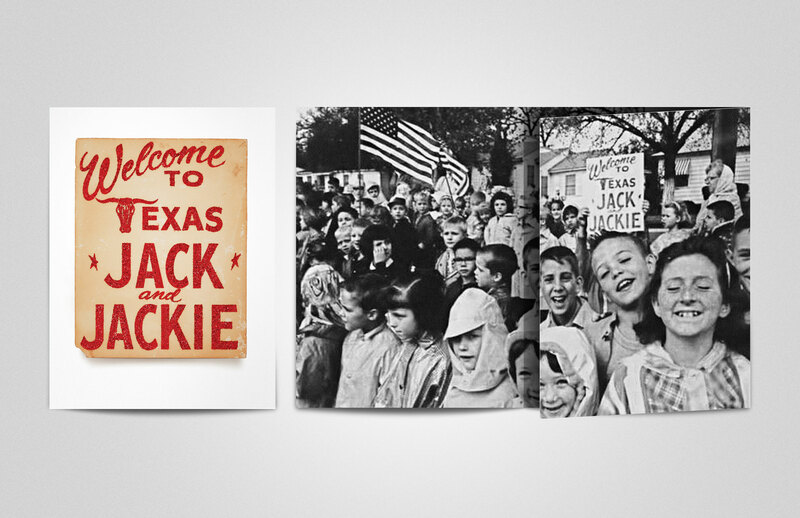 Welcome to Texas Jack and Jackie - Schaefer Advertising Co. 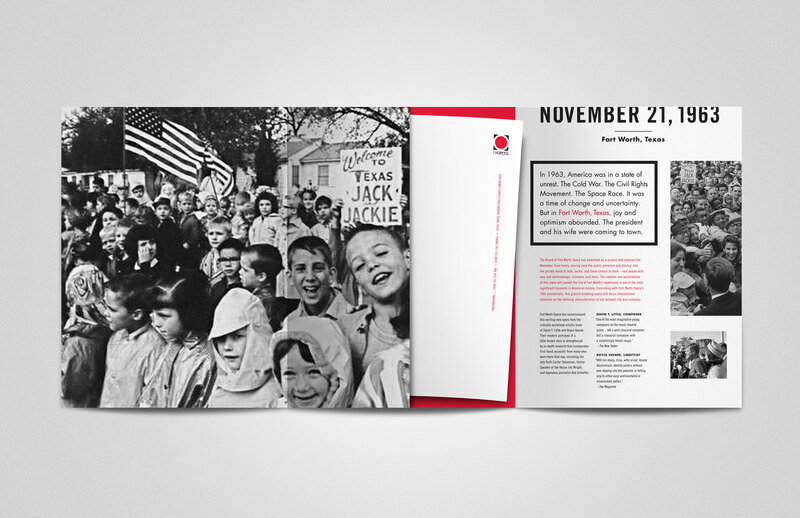 When the Fort Worth Opera asked Schaefer to help them create fundraising collateral for a new opera they were commissioning based on the life of JFK, we were interested. When they needed it in a week, we started sweating. But c’est la vie in the ad world. Fortuitously, the Amon Carter Museum in Fort Worth was running an exhibit of the artwork that had been put in his hotel room the night before he died. The new opera was to be set during the course of that one day in Fort Worth in 1963, so it proved an invaluable field trip for the creative team. One of the pieces in the exhibit that caught our attention wasn’t a piece of fine art, per se, but a paper sign with welcoming the president and first lady in red letters and red glitter. 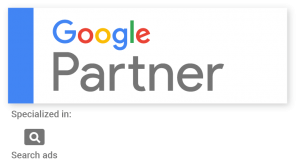 This ultimately became the front cover of our collateral piece. Not only did it harken back to that period of time, it was the perfect symbol of what the Fort Worth Opera’s new production—and those donating to it—were doing: welcoming Jack and Jackie back to Fort Worth. We were able to produce the materials in time for a kickoff event held on the anniversary of his death. Previously named the Hotel Texas, what’s now the Fort Worth Hilton is where JFK spent his last night. It was the perfect time and place to announce the new opera, which is set to open in the 2016 opera season.